Add a bit of whimsy to any holiday table with this sugary sweet floral arrangement. 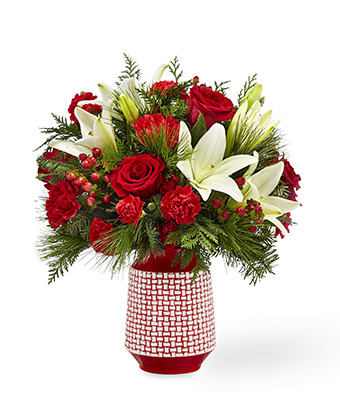 Red roses and white lilies are the stars of this bouquet- sure to tickle your recipient's fancy! Measures approximately 16"H by 14"L.